Saturday is International Programmer’s Day, and to celebrate, we’re rounding up our top software and technology posts just for you! Whether you’re a seasoned coding pro or an aspiring future programmer, you’ll find resources on OpenSesame to help you in your journey. We offer a wide variety of programming training courses on many languages including Java, C#, C+, HTML, and more! Looking to learn about web development or mobile app creation? We’ve got you covered there too! Don’t miss these helpful resources. So you want to be a programmer? Get advice from a pro. Luckily, we’ve rounded up several for you. Once you’ve decided whether to teach yourself or embark on a more formal course of study, you will have to choose which language you want to learn first. As a followup to OpenSesame intern Daniel Chen’s post on TechRepublic outlining the best programming languages to learn on your own time, we asked developers what language they think is best for beginners and why. Two of OpenSesame’s software engineers chose Python, while the lead engineer from BlueVolt chose C.
Find out why in the video below! It remains to be seen whether computer programming skills will join the ranks of Word, Excel and Twitter as required workplace competencies. Many argue coding skills are on their way to becoming the new literacy. Before jumping into research on computer science classes at your local university or signing up for an online resource, it’s important to consider the end goal of your training. Are you looking to get a basic understanding of programming or proficiency to pursue a career in the field? Read arguments made on both sides here! Demand for mobile applications has skyrocketed and so has the cost to develop those apps. Fortunately, this same growth has also lowered the barriers to entry for developing mobile apps, allowing individuals to build applications on their own with minimal ramp-up time. If you’re planning to build a mobile application this year, but don’t have programming skills, we’ve laid out the pros and cons of the options available to get you started. Read more! C# popularity is higher than ever. C# was named the programming language of 2012 by the PopularitY of Programming Language (PYPL) index. According to PYPL, C#’s popularity grew by 2.3% in 2012—more than any other programming language. Although it’s still not as popular as Java or PHP, it’s neck and neck with C++; each has a 10.5 percent developer share. Is C# easy to learn? You would never build your office without doors and locks to protect your company’s property, right? 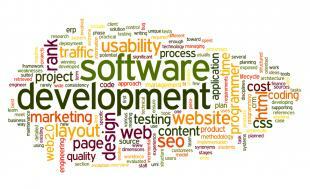 Most companies don’t provide formal secure code training to their software development teams. More than 1,000 software vulnerabilities exist today that allow attackers to exploit applications. Developers cannot be expected to know how to thwart these risks. As a result, developers can unknowingly leave openings, providing hackers access your company’s assets. Don’t let this happen to your company or organization. Learn more about the risks and how training can help here. Looking for additional resources? Let us know how we can help in the comments!